Hydro Excavation - R&R Pipeline Inc.
Hydro Excavation provides a safer and more effective method of digging and moving soil to access underground piping. Highly pressurized water and an air vacuum is used to execute the hydro excavation process, as the water digs the soil and the vacuum draws the soil into a holding tank. 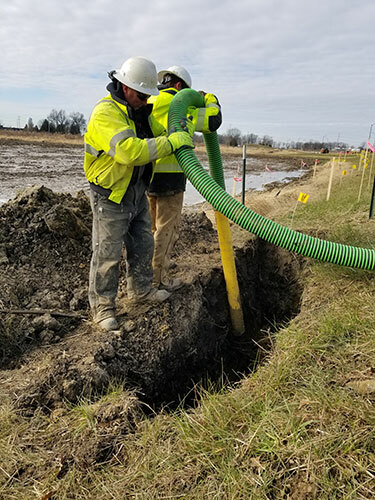 R & R Pipeline is able to effectively reduce costs by using this non-destructive method, which allows for easier installation and excavation while resulting in less potential damage. Want more information about hydro excavation?